Seattle’s Obon festival is one of our favorite summertime events (I sketched there last year and a few years before that, too). 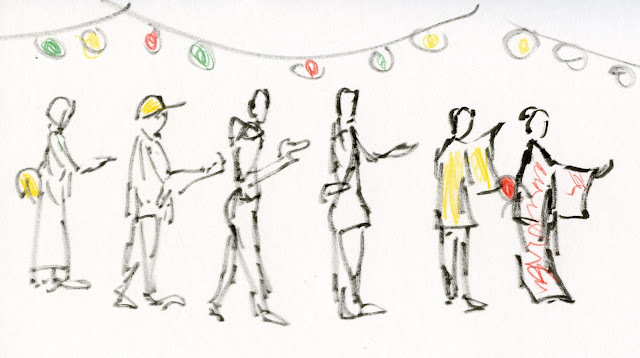 This year it coincided with the weekend of the Urban Sketchers Dancing Lines workshop, so I invited San Francisco Bay Area sketcher and workshop participant Cathy McAuliffe to join us Saturday evening. We headed straight for the beer garden for our own drink & draw! 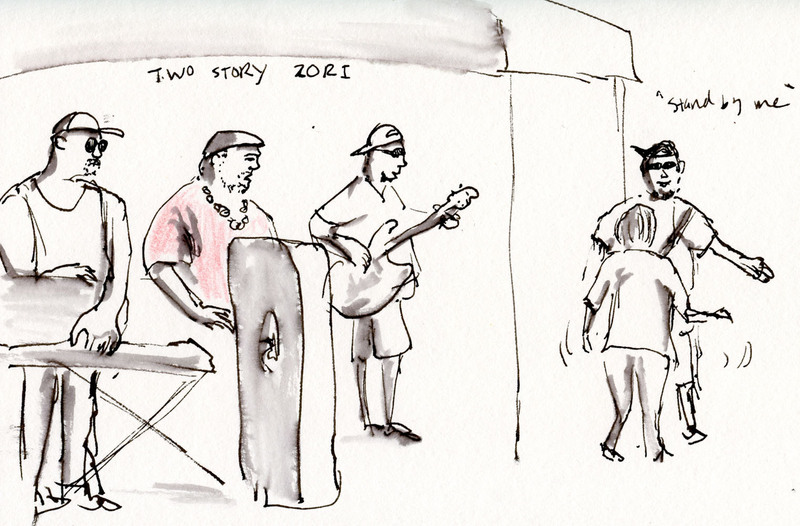 Local reggae band Two Story Zori entertained us while one of the band members stepped out to dance with a silver-haired woman in the audience. The pair showed us some great moves. 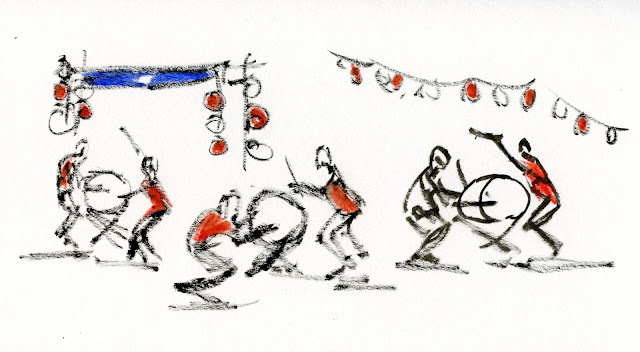 After beers and dinner, we moved out to the street where taiko drummers could be heard and dancers could be seen. 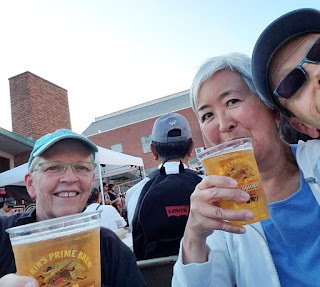 Color, music, rhythm and food – ahhh, summer! A little drinkin' and drawin'! Love the energy in the one with the drummers! How Many Colored Pencils Do You Really Need?